These are the universal words in the inspirational music of Bani. They are for all; for the high and low, for the saint and the sinner, for the thug and the benevolent, for the selfish and the generous, for the sinful woman and the nobles and purest woman. It gives solace to the afflicted. It comforts the soul that cries in pain. It is to be remembered in thick and thin. It cheers the sad and gives inspiration to all. It gives relief to the suffering and puts them to the tone of patience. The distressed and grieved find a ray of hope and happiness in the light of these amazing words. The agony of the depressed is lighted by the sweet and inspirational music that flows from Gurbani. This music of bliss fills the environment with sounds that soothe the rough edges of life and make them sleek and glossy. Dhan Dhan Sri Guru Nanak Dev Ji placed the stars, the moon and the sun in the salver of the sky to ignite and illumine the garden of life. Such a great romance with nature is practice in this garland of words. With this beauty of words, Dhan Dhan Sri Guru Nanak Dev Ji healed the suffering. With the touch of these words, he turned thugs into saints, the cannibals into altruistic human beings, the recreants into lions, and the cruel into humane beings. Guru Sahib Ji teaches us love, sympathy, and compassion by arousing in us our own humanity and divinity. 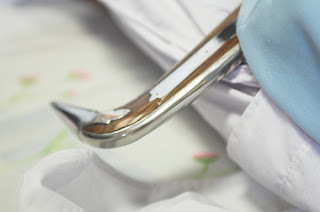 Our own humanity is soaked in mercy, kindness, and selfless service with the touch of Gurbani. Humility creeps into the life of Guru Ji’s Sikhs who surrenders himself in totality of the Guru. In the love of God, other virtues also glide into life to make it deal and consummate. Patience allures sobriety and temperance. With patience a mother or a teacher listens to a child and develops self-confidence in him. The wind of benevolence blows the fragrance of kindness, charity, liberty, and benignity in the garden of life and reaches it with forgiveness, righteousness, and justice. Life blooms with the colourful flowers of these holy and pious virtues with the Godly in nature. Kindness develops sympathy for others. Charity showers life with thoughtfulness and commiseration. Even the dark and gloomy corners of life bloom into happiness. 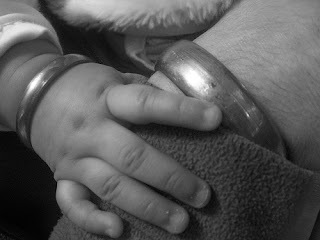 It is the wonder touch of the Gurbani! The feeling and spirit of righteousness and justice give courage even to the meek to stand for it at any cost. Discrimination and selfishness disappear from the garden of life, where these flowers of piety and sanctity bloom. Nature sows the seeds of solace and ecstasy with its invisible hand. The saintly and holy words by means of inspirational music flow into life and create wonders in the garden of life. The prodigy astonishes life itself and waves of celestial music enliven every corner of life. The mind, the environment, the earth, the plants, the trees, the vegetation, the rocks, and sea are embraced and soaked in this heavenly music and holy words. Life becomes wondrous, startling with this inspirational music! The Holy Sikh Scripture, Sri Guru Granth Sahib Ji is the main spiritual authority for the Sikhs. 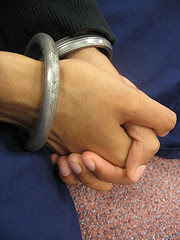 The Sikhs hold unique high regards for their Granth (Literally “scripture”), which is treated as a living Guru (“religious master”). 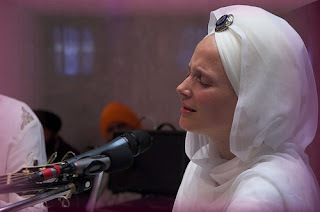 When Kirtan is sung, the lyrics are normally lines from the Sri Guru Granth Sahib Ji. The Shabads (“Hymns”) of the Sikh Scriptures are primarily arranged in Chapters, which are names of musical Ragas (“musical theme”). 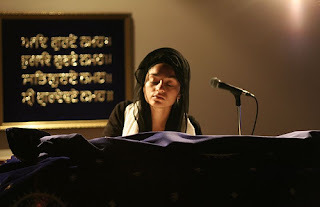 Each of these Ragas is unique and all the Shabads in Guru Sahib have to be sung in that particular Raga. 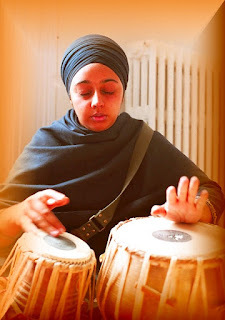 The title of the Shabad also has a numeric notation, which many believe gives the singers a clear idea of the Tala or musical rhythm or beat that needs to be used for that hymn. 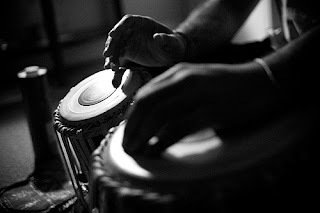 In connection with Tala or musical beats/rhythms and the ‘Ghar’ in the SGGS, the following can be concluded. 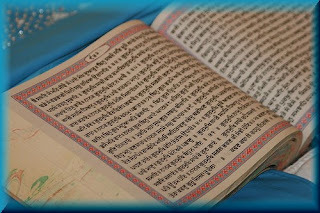 Of inestimable significance is the composition of Sri Guru Granth Sahib Ji in Divine Poetry. Lovers of God invariably choose to express and communicate their mystic experiences in this language of love, language of spirit. Musicality adopted in the composition is also unique. It awakens deeper layers of human heart and consciousness. It encompasses what is otherwise indescribable and incommunicable. Divine wisdom is laced with sweat melodious fragrance. 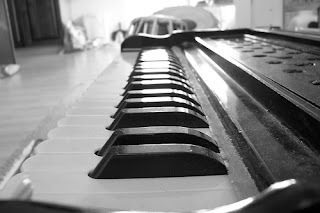 This divine melody tunes the soul with Rhythm Eternal. It is all composed in mystic poetry. It was cast into 31 musical measures (Ragas). It is a natural flow of the divine ecstasy of Lovers of God. 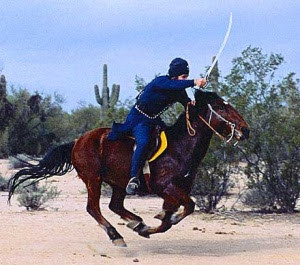 Language used being the spoken language of the people is simple and easily understandable. Music is the medium of expression of deep spirituality. It is natural outcome and flow of religion of love. It transports others also to the realm of divinity. He thus passed on an inexhaustible treasure of Celestial Music and an inexhaustible divine source of Holy Kirtan for posterity. He preaches the whole range of spirituality with his lyrical power, singing the Glory of the Lord to the accompaniment of a Tambura (a musical instrument) with the touch of His Holy Hands. His Grace flows in torrents through these hymns and fills the hearts with intense devotion, stimulates humility and stirs Amrit Nam latent in the soul. 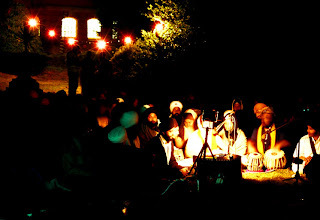 The influence of Holy Kirtan is deep, profound and divine. 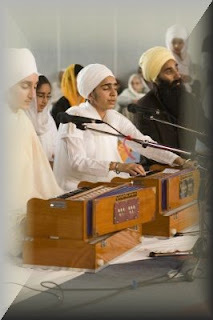 Kirtan transports one to the Abode of the Lord. It lifts one out of time and space. It blesses one with a true glimpse of divinity. In this Dark Age (Kaliyuga) fruition of life lies in singing the praises and glory of the Lord (Holy Kirtan). By composing the whole of Sri Guru Granth Sahib Ji in Divine Melodies, in various Ragas, Sri Guru Arjan has divinised the very foundation of music, has divinised the Rag Mala. Utilisation of the whole range of alphabets and the Music (Rag Mala) is divine in its totality in Sri Guru Granth Sahib. Every hymn of Sri Guru Granth Sahib is a monument of direct and experienced divine love. In these hymns some are transported with Bliss, some are driven into raptures of love, some are reduced to utter humility-some fall head-long in total reverence. This is the magical effect. 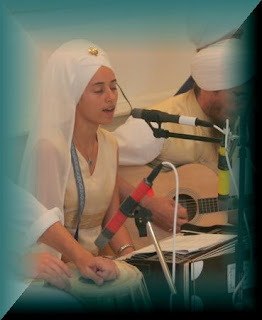 Holy Kirtan is a sure divine prescription, in this Dark Age, for the cure of all ills of life. Holy Kirtan releases Divine Power, Influence and Potencies which envelop the soul and the whole atmosphere with tremendous impact and effect. 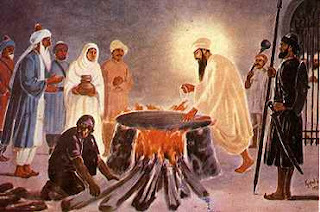 The month of June since 1606, Sikhs have commemorated the martyrdom of their first martyr, the fifth Guru, Sri Guru Arjan Dev. 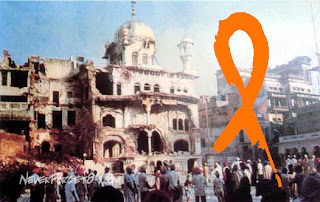 Sikh history until then had been peaceful and non-violent. All the Sikh Gurus had taught the message of compassion, love, dedication, hard work, belief of one God and the commitment to peace and harmony for all the peoples of the world. 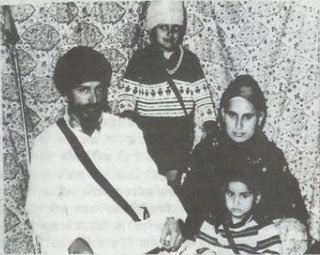 Bibi BhaniJi has a unique place in the Sikh history. She is the noble lady who was, Daughter of a Guru (Guru Amardas),Wife of a Guru (Guru Ram Das),Mother of a Guru (Guru Arjan Dev),Grandmother of a Guru (Guru Hargobind),Great Grandmother of a Guru (Guru Tegh Bahadar)and Great, Great Grandmother of a Guru (Guru Gobind Singh). She was married in the beginning of 1553. 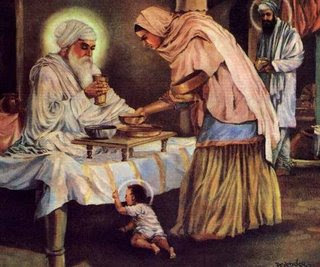 She served Bhai Jetha (Sri Guru Ram Das Ji) not only as a husband but also as a saint. She was so contented that she never complained about the poverty of her in-laws. 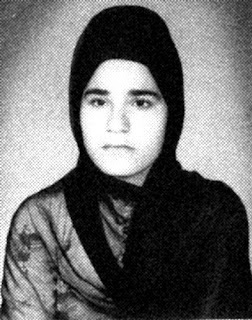 She kept serving her father even after her marriage, as her in-laws were local. She continued doing her worldly duties along with the service of her father. Her husband continued serving in the common kitchen even after his marriage. They had three sons, Prithi Chand, Maha Dev, and Arjan Dev. Prithi Chand was arrogant, lazy, and dishonest, but still wanted the Guruship after his father. He wanted that his Mother should recommend him for Guruship. She advised him that the decision made by his father would be on merit and she remained neutral. 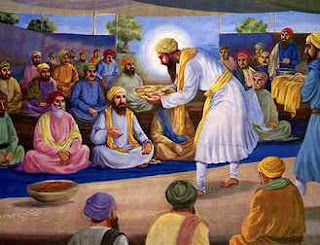 When Guru Arjan Dev was selected for Guruship, Prithi Chand misbehaved with his father. Mata Ganga Ji was the wife of Sri Guru Arjan Dev, and Mother of Sri Guru HarGobind ji. She had her only son that too, after a long time into her marriage. Mata Ganga Ji (Guru Ji's wife) once expressed a wish to be blessed with a son. Mata Ji went to see Baba Ji taking with her many richly prepared dishes. Baba Ji was not happy, "I am but a grass cutter of the House of Guru Nanak how can I grant you what you wish?" Mata Ji returned home and told Guru ji what had happened. Although Mata Ji only received the blessings to live a life of humility and humbleness, soon, she was blessed with her only son, who was named HarGobind. Sri Guru HarGobind Ji became the sixth Guru of the Sikhs. As a religious centre was a need of the Sikhs, a sacred book of their own scripture was needed for the Sikhs. It was necessary to focus on the Sikhs physically and as well mentally and spiritually. With this realism of vision of Guru Arjan Dev Ji dictated the hymns of the first four Gurus and himself, including the hymns of Hindu and Muslim saints in the Sri Guru Granth Sahib Ji. This compilation was completed in 1604. there ware more than 2000 hymns contributed by Guru Arjan Dev Ji himself. 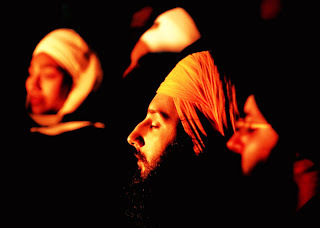 The Sri Guru Granth Sahib Ji is, but, One Song, One Idea, One Light. It conveys the message of love, light and life. Thousands of Hindus and Muslims wer fascinated by the beauty of Guru Sahib Ji’s spirit, his piety, and saintliness. This stirred the bigotry of Emperor Jahangeer and he looked for an excuse to end this movement. A charge of sedition was brought up against the Guru Sahib. Guru Ji was arrested and he was brought to Lahore. Jahangeer ordered Guru Arjan Dev Ji to death by torture. 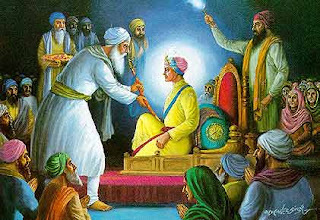 He was handed to Diwan Chandu who bore a grudge against Guru Sahib Ji. "I bear NO ENEMIES or ill-will against any one. All happens as God Almighty wills it to happen. I am prepared to ACCEPT HIS WILL. You may do what you like". 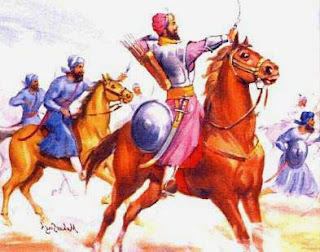 When King Jahangeer summoned Guru Arjan Dev Ji, his Mother encouraged him to face the difficulties boldly. 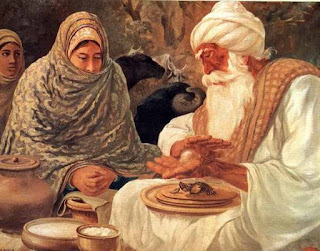 When Guru Ji was tortured and the news of his martyrdom reached the family, she maintained her composure and did not let her Daughter-in-law, Guru Arjan Dev’s wife, and 11 year-old grandson, Hargobind, lose heart. The power of the Guru’s sword will give light to your soul. Vaheguru Jee Ka Khalsa Vaheguru Jee Kee Fateh! Join in a spiritual retreat to heal the inner self. Designed for spiritual and emotional upliftment as well as fun! Activities include: Meditation, PT, Amrit Vela, Gurbani, Kundalini Yoga, Gatka, Workshops on Ayurvedic health & well being, Fun evening activities and more! Please Bring: Ramal or head covering, sleeping bag, pillow, toiletries, yoga mat, comfortable clothing for exercise & yoga, suits for Gurudwara, runners, rain jacket, water bottle, pen and notebook. 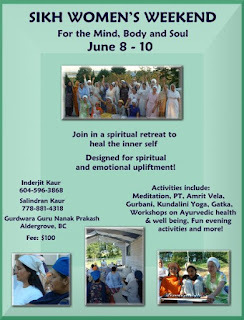 This retreat is open to all women, but please note that the main language medium will be Punjabi. Please spread the word!